Kids and even adults indulge with fun and exciting times during Halloween. Animals, on the other hand, are frightened by this spooky holiday. 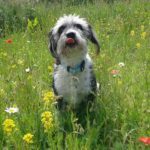 Consider your pet feelings by following these three tips to keep your furry faces happy and safe. 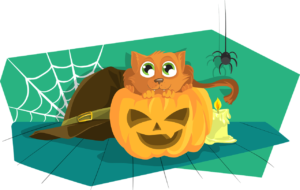 – On Halloween day/night keep your animals inside in an enclosed quiet room with their favorite toys, food, water, litter box, beds, crates, etc. Disable the doorbell for the night. Turn on a radio or tv to drown out the sudden strange noises during their Halloween jitters. Most importantly, they must be kept away from the door that you may frequently be opening for the kids while handing out treats. 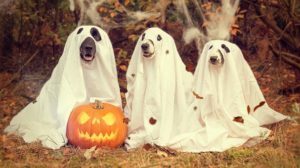 Strange voices, noises, smells and people of all sizes dressed up in costumes can cause anxiety and stress in most dogs and cats. 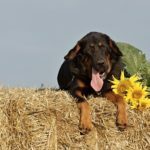 You wouldn’t want your dog to snap out at a stranger or escape your home and run for the hills out of fear. Cats (especially black cats who are unfairly targeted for being “evil”) are sot out to be teased/taunted, stolen, harmed or even killed. If cats get scared, they could dart out the door faster than you can say trick or treat! Ensure all pets are wearing collars with their ID tags in case of an accidental escape. – My k ids use to tell me that a candy a day keeps the monsters away!. Hate to break this to ya…but animals and candy brings the demons inside!. Educate your children the importance of no candy sharing with their pets. Designate a safe place to store the candy and never allow children to stash candy in their bedrooms. 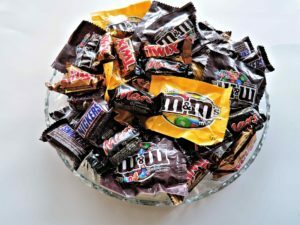 For pets, all candy and including wrappers cause upset tummies and irritable bowels resulting in vomit and diarrhea. 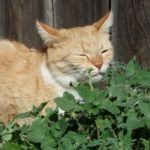 Chocolate is very toxic to both cats and dogs. So is xylitol the artificial sweetener found in some candies and gum. Raisins which are dried up grapes are poisonous for them as well. Lollipop sticks and hard candies are choking hazards because they get lodged in pets throats and could potentially block or puncture the digestive tract. 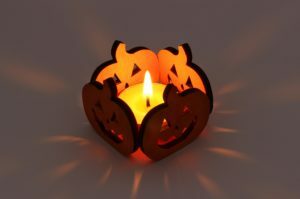 – The candles in pumpkins could tip over and burn your pets or cause a fire. Decorations are fun to play with and if ingested could cause gastric or intestinal blockage not to mention the irritation they cause to the lining of their digestive system. You could put on your creative thinking hat and make pet-friendly Halloween decorations instead of buying traditions products. For example, use battery operated candles and flashlights instead of candles. Please don’t leave glowing sticks laying around or taunt your pets with them. 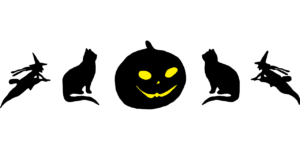 Glow sticks contain a bitter liquid if bitten into and not all glow sticks are labeled nontoxic. Keep electric lights and the cords out of your pet’s reach. They could chew on them and boom; your beloved pet could turn into an instant ghost. May the ghost be with you! If we protect our pets by following these three simple tips our Halloween experience will be pleasant for everyone. 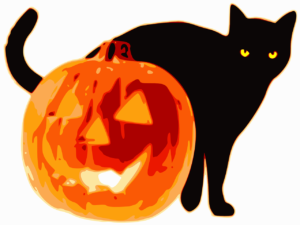 Corks Critter Care wishes all two and four-legged critters a happy and safe Halloween.